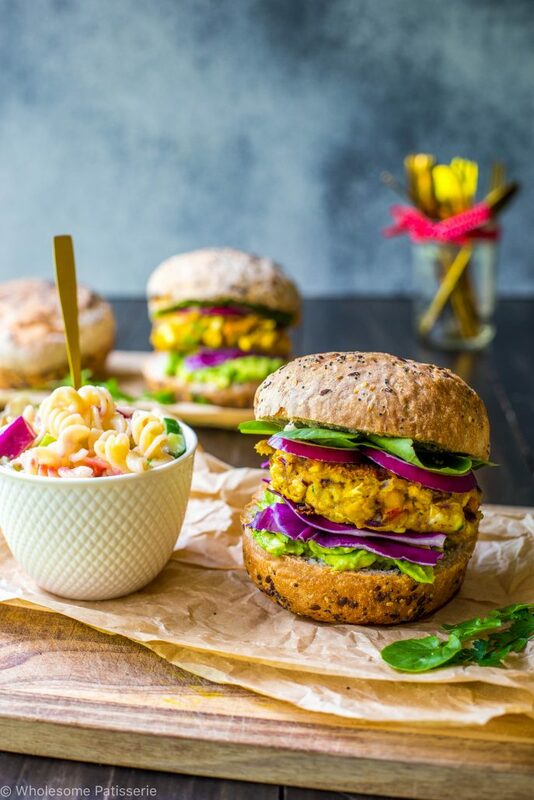 New week calls for a brand new delicious burger recipe! Because who can resist burgers?! I know I can’t! This is my first actual full burger recipe I have published on here and I’m unsure as to why it took me so very long, we are talking years you guys! 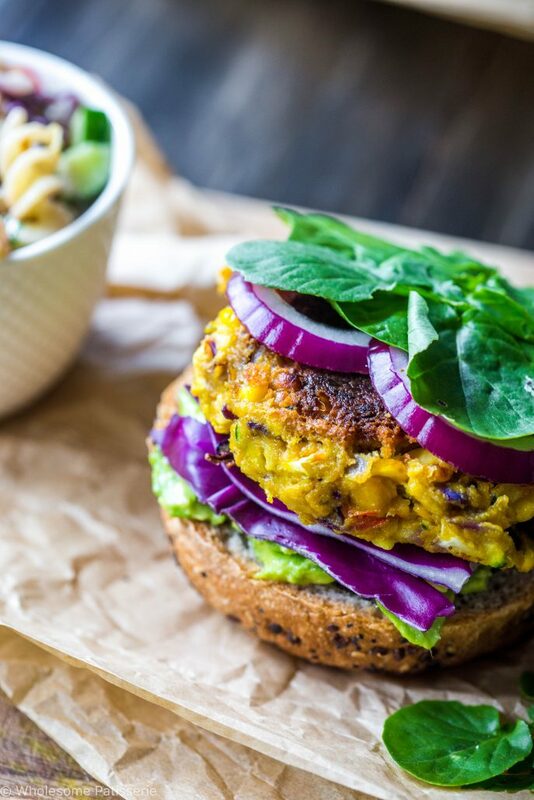 Now, this burger is completely vegan, yay! No meat here! 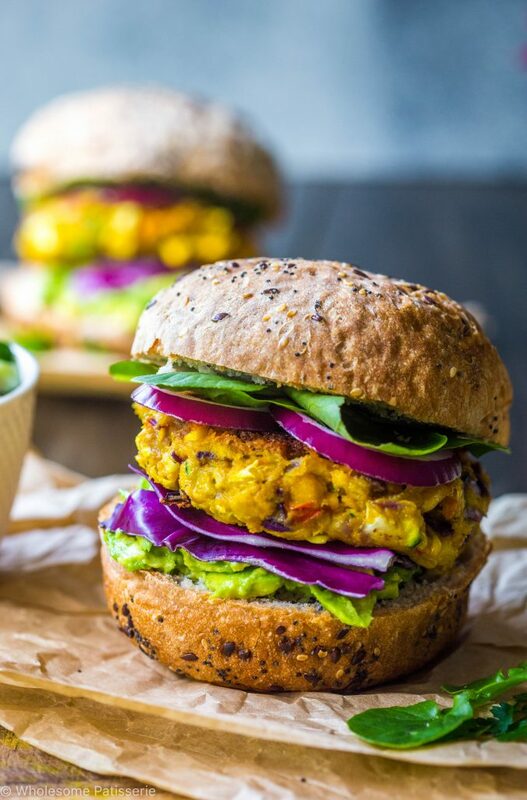 It’s so super simple to create delicious and flavoursome meals being vegan/vegetarian and gluten free, especially burgers, my favourite! Are they yours?! Back in the day when I was a meat eater, my family and I were travelling through America for the first time and let me tell you, I ate burgers pretty much for lunch and dinner, everyday, I couldn’t get enough. They were readily available and there was always a new flavour and restaurant to taste test the burgers, don’t forget about the fries! Once we returned home and came to the realisation that the majority of my meals were actually burgers and fries, there were no regrets! Safe to say I couldn’t touch a burger with a ten foot pole for a few months after that! Ok so I haven’t mentioned the perfect side to this marvellous vegan burger have I??! What pairs perfectly with burgers? FRIES! That’s right, hot crispy fries, oh they are so dreamy! 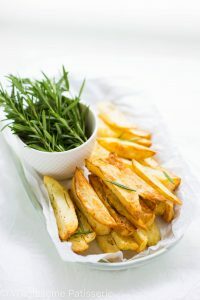 Luckily for you, I have the best fries recipe since hot chips, ha ha! 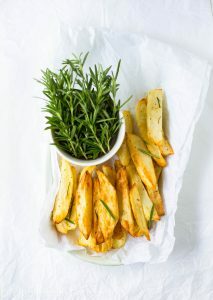 My Oven Roasted Rosemary Fries, make them now!! 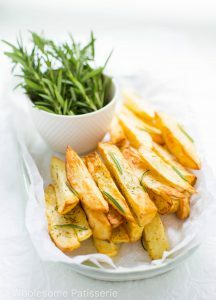 Oven Roasted Rosemary Fries Recipe! We now enjoy healthy and nutritious veggie burgers with a side of homemade fries, so you can definitely add fries with your burgers, do it! If you’re gluten free, you can easily find gluten free rolls or burger buns in your local health food store! Bonus, gluten free and vegan burgers, who said it cannot be done?! 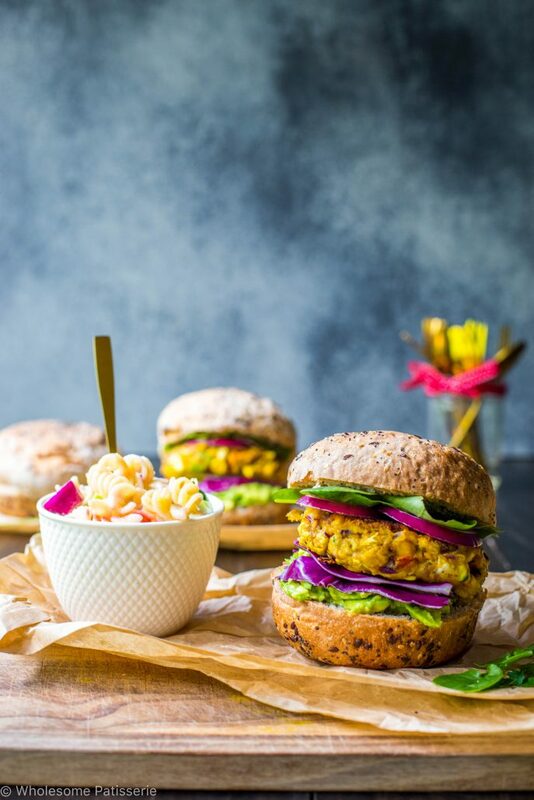 I won’t blabber on any longer because these beauties are a must have and I don’t want to hold you up any longer from these fabulous rainbow veggie burgers! Enjoy my friends! In a large mixing bowl, combine all chopped vegetables, mix well and set aside. In a high speed food processor, add all wet mixture ingredients except oat flour and coconut oil, pulse on high until smooth and well blended. Pour mixture into vegetables, mix thoroughly. Add oat flour, half a cup at a time, until mixture holds it’s shape when formed into round patties. Keep adding more oat flour until you reach this consistency. In a large fry pan, heat 1 tablespoon coconut oil over high heat. 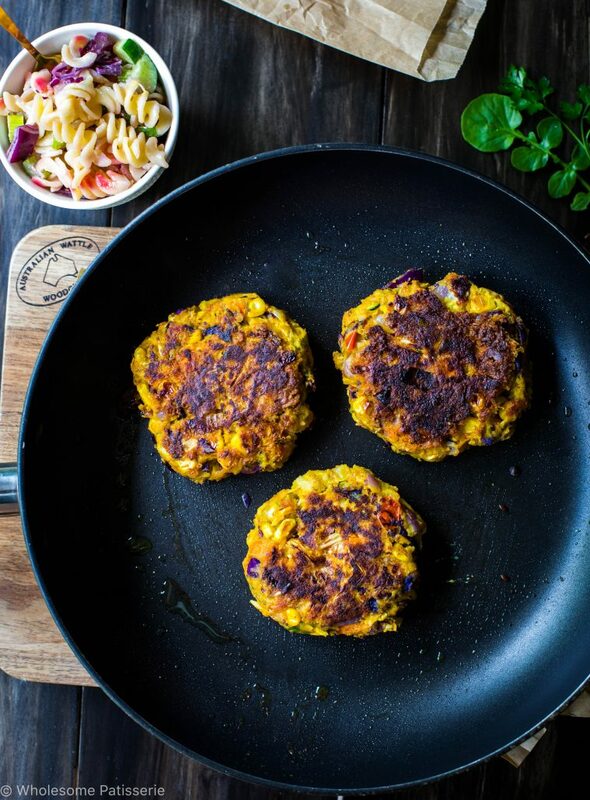 Whilst oil is heating, begin to form large round burger patties and place in pan to cook, small batches at a time as they won’t all fit in one pan. Repeat with remaining mixture adding more oil each time. Fry patties until golden brown and crispy on each side, approx. 5-8 minutes. Optional: toast your burger buns under the grill or in a fry pan with a little oil until golden. Place cooked patties into burger buns along with desired toppings. Store leftover patties in an airtight container, refrigerated, for up to 3-4 days. This burger mixture make a large amount, you can half the recipe if you’re only serving a couple people.